A bright and airy one double bedroom flat on the raised ground floor of this attractive period building, located within this exceptionally quiet Brackenbury Village cul-de-sac. It has a generous reception room with fireplace, good ceiling height and south facing sash bay window. Both kitchen and bathroom have windows and are situated at the rear or the flat. Carthew Villas runs east off Brackenbury Road, near Ravenscourt Park and tube, and within minutes of good local shops and pubs. It is close to the shopping and transport hubs of Hammersmith, Goldhawk Road and Shepherd's Bush (Westfield). 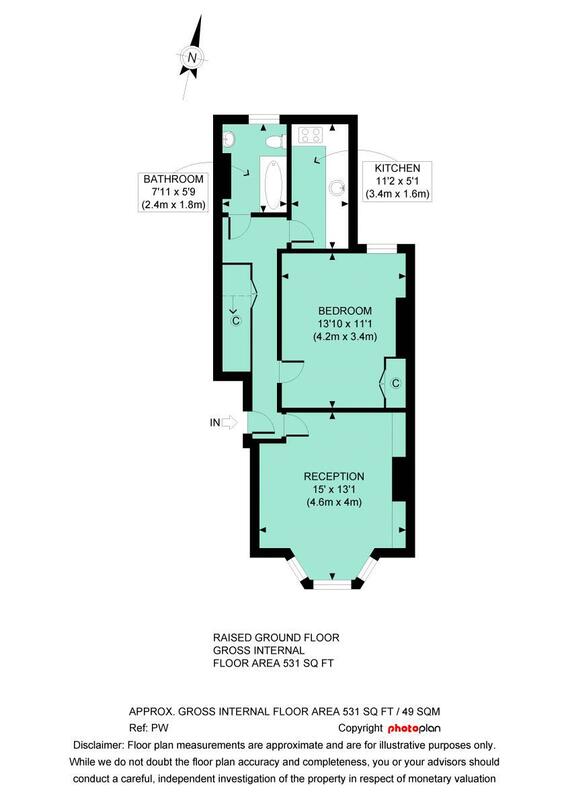 531 sq ft / 49 sq m approx.